This is our New Patient Package that you will need to complete on your first visit. You can expedite matters by downloading the package, completing it at home and handing it to our staff when you arrive for your initial visit to our office. 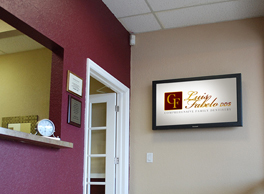 © Copyright Comprehensive Family Dentistry. All Rights Reserved. Accessibility Policy.